GeoFile is a series dedicated to looking at geographical data, its features, and uses. In today's article, we're continuing our examination of OpenStreetMap data and walking through how to incorporate other data sources. 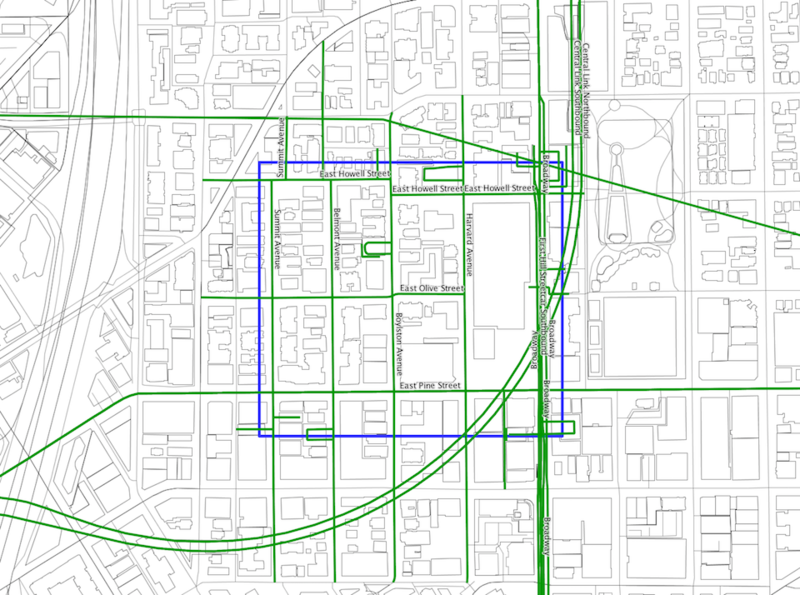 We'll also look at using PostGIS to filter our data and to find places that are within or intersect a chosen polygon. 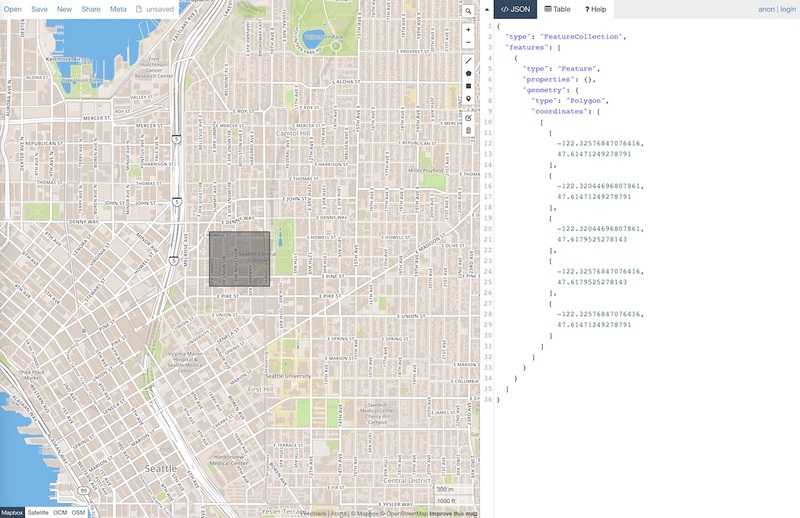 In the last GeoFile article, we looked at how to import OpenStreetMap (OSM) data into Compose PostgreSQL and ran some queries to get the most popular cuisines in Seattle. We found that coffee shops were the most popular places in the city, and we provided a top ten list of which coffee companies have the most branches in Seattle. In this article, we'll be using the same OSM data in conjunction with the Seattle Police Department's 911 call data. We'll show you how to create tables and store this data in PostgreSQL using Sequelize, a Node.js ORM for relational databases. Then we'll look at locations, areas, and reasons for 911 calls using PostGIS and then viewing them all using OpenJUMP, an open-source GIS tool. Sequelize is a Node.js ORM that works with a number of relational databases out of the box. For our use case, Sequelize makes it easy to perform CRUD operations and create models for our data. In particular, for the data model that we'll be creating, it comes with a geometry data type that works well with GeoJSON and PostgreSQL. What we'll be doing with Sequelize is creating a table called emergency_calls and inserting GeoJSON documents from the SPD 911 call API. The information that we'll be gathering from the API is the incident id, longitude, latitude, event_clearance_group, and event_description. The event_clearance_group and event_description provide us with details about each 911 call incident. In addition to Sequelize, we'll be using the request Node.js library. This library will allow us to gather the GeoJSON documents from the SPD 911 call API and will help us insert the documents into PostgreSQL one at a time. To install Sequelize and request, we'll write the following in our terminal using NPM. After installing the packages, let's create a file called 911data.js. Within the file, we'll first require both the request and sequelize libraries we installed with NPM. We then set up a variable url with the URL of the API and append to the URL $$app_token and include a custom token from data.seattle.gov. You'll have to apply for a token in order to not have download limits on your data. Next, we'll use Sequelize's $offset and $limit functions to limit the number of records we'll import to our database since there are more than 1.3 million records in the SPD 911 calls dataset. In order to get the latest 911 calls, we'll offset our data by 1.3 million rows and limit our data to only the last 100,000 rows. After that, we'll initialize a database connection using our Compose PostgreSQL connection string located on the Overview page under Credentials. At the end of the connection string, we'll change the database name from compose to osm since we're inserting the 911 call records into a table located within the OSM database. Once that's done, we can set up a Sequelize model for our data. For this example, we'll keep it simple and only get the id and the event_group and event_description, which categorize and describe each 911 call. We'll also set up a column called geom that will automatically process our GeoJSON longitude and latitude coordinates into a PostGIS geometry object. Sequelize does this by using the PostGIS function ST_GeomFromGeoJSON behind the scenes. Since we're using GeoJSON data, the PostGIS geometry object coordinate reference system will be set to SRID 4236, but the geom column set up by Sequelize will have an SRID set to 0. We'll have to change this once we've inserted our data since SRID 4236 will not work with OSM data since it uses a different SRID - this is discussed further below. To set up a model for our data, we'll first define the model using Sequelize's define method. The first argument that the method takes is the table name we want to create. For our use case, the table will be named emergency_calls. 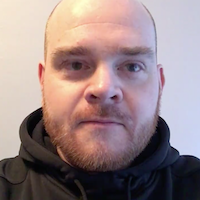 The second argument of the function is an object that contains the data type, field name, and other constraints we want to put on our columns such as defining primary keys and allowing null values. The field is the name we assign to the PostgreSQL table column. The type is the data type we assign to the column using any appropriate Sequelize's data type. For columns what will store data as a string, we'll use Sequelize's STRING data type. For the geom column, Sequelize has a GEOMETRY data type that allows us to assign the type of geometry to a column. In our use case, it's "POINT" since the GeoJSON geometry type is also "POINT". Sequelize also allows us to assign the GEOMETRY data type a second parameter that is a SRID number. However, since our GeoJSON data does not contain information regarding the SRID, if we define the SRID of the column and our data doesn't match when inserting a record, we'll receive an error. Therefore, to solve this problem we will not set the SRID of the column initially and we'll go back and manually change the column later using PostGIS. Now that we have the model set up, we can initialize EmergencyCalls which will create the table. Here, we'll append the sync method to create the PostgreSQL table in the database and use the force option to drop the table if it exists. Within the for-loop, we'll use the Sequelize create method to insert each 911 call record into our database. We'll only select the necessary information from the GeoJSON "Properties" and "Geometry" objects and put the results into keys we created from our Sequelize model. Once we have the code set up, just run node 911data.js and we'll see the table set up and all of our data being logged in the terminal window. After the data has been inserted, let's see what it looks like in PostgreSQL by logging into our OSM database. Notice that the fields that we defined and the data have been created and inserted along with two other timestamp fields created by Sequelize. These timestamps show when a record has been inserted and updated in the table. If you don't want timestamps to be added, just add timestamps: false inside the Sequelize model. To view the data type of each column run \d emergency_calls. Here we can see that the geom column has been assigned a geometry data type without an SRID even though there are geometry objects inserted in the column. Since our geom column contains GeoJSON data in the form of a geometry object, the coordinates of the data are automatically calculated using SRID 4326 even though the column doesn't have an SRID defined. If we decided to project the geom data onto our OSM map, however, the geom points would not align with the map because OSM uses SRID 3857. So how do we solve this issue? 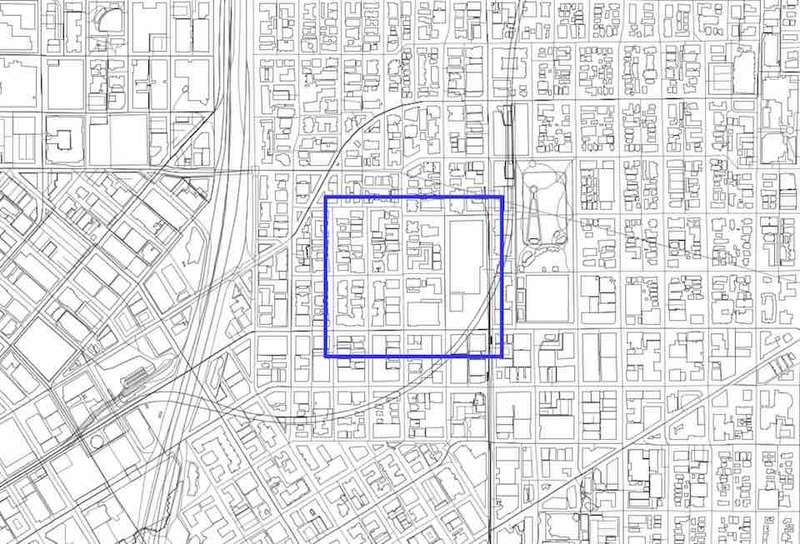 Using OpenJUMP, we now can view each of the points on the Seattle OSM map. In the last article, we looked at some restaurant data using OSM's hstore data column to find the top ten cuisines in Seattle. We then found out that coffee was the most popular "cuisine" and found the top ten coffee shops in the city. 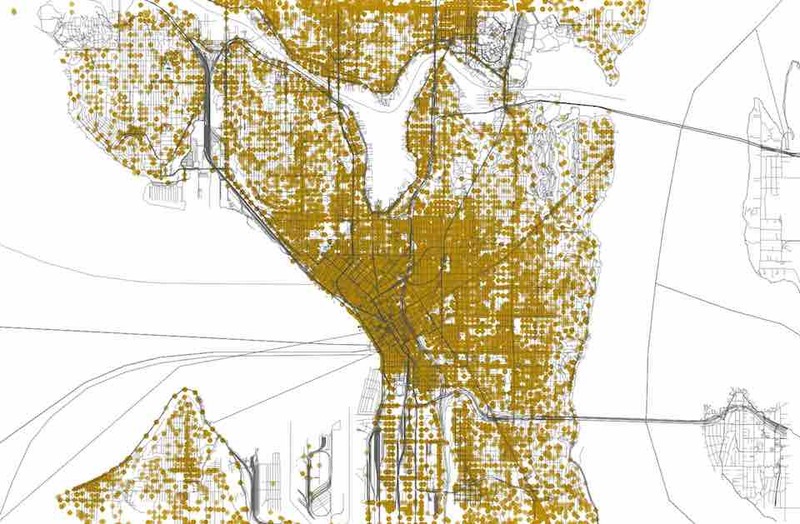 Let's take a closer look at the map this time by focusing on one particular area of Seattle called Capitol Hill. We'll start out by selecting the area and getting its coordinates. A useful tool to draw and get the coordinates of a polygon on a map is geojson.io. All we have to do is zoom on Seattle and draw a polygon around the area we want. It will automatically provide us with the coordinates of the polygon in GeoJSON in the right sidebar. Running this query we will see the polygon appear on the map. Using our 911 call data, we could create a more complex example using ST_Contains to show the number of 911 calls that took place near these restaurants. The first thing to notice is that we have two ST_Contains functions being used. Each one indicates that the restaurant and the 911 call should be contained within the polygon. What's also noticeable is the other PostGIS queries that we added: ST_Distance and ST_DWithin. ST_Distance provides the distance between one geometry and the other. In this case, it shows us the distance between the 911 call and a restaurant. The function ST_DWithin returns true if two geometries are within a specified distance of each other. So, above, we are indicating in the WHERE clause that each restaurant and 911 call have to be within 30 meters of each other. We first provide the coordinates of the polygon that we transformed. Then we provide the geometry column way from the planet_osm_roads table, which contains the geometries of all the roads on our map. 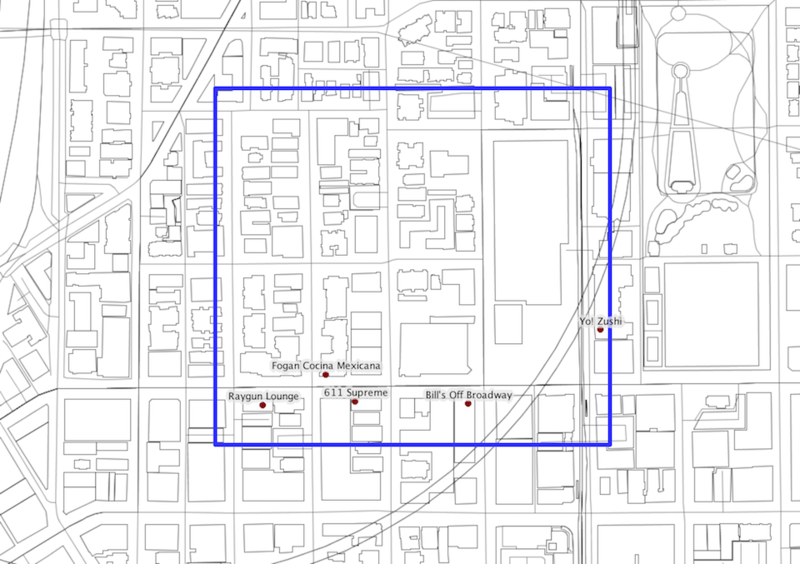 When running the query, we'll find that there are five streets that intersect the polygon. In this article, we looked at how to import and use another dataset with our OSM data. In addition, we looked at using PostGIS functions in order to modify our new dataset in order to work with OSM and to select only a portion of that data to query. While we haven't covered all of PostGIS's capabilities, this basic overview will help you start combining your own data with OSM and start using PostGIS and PostgreSQL for all your GIS needs.